Who can leave behind red purse bag with sling! They themselves carry a style which uplifts any form of apparel one wears. 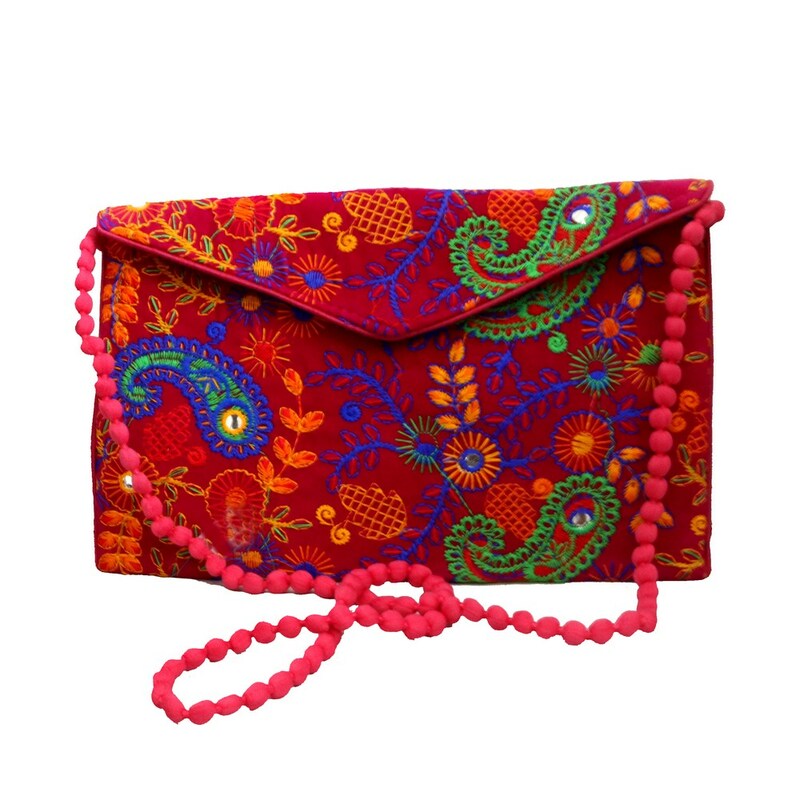 This otherwise simple Read More..purse has been detailed with colourful embroidery designs and the addition of the designer sling has made all the difference. Show Less..